For lovers of the strange and unusual…. 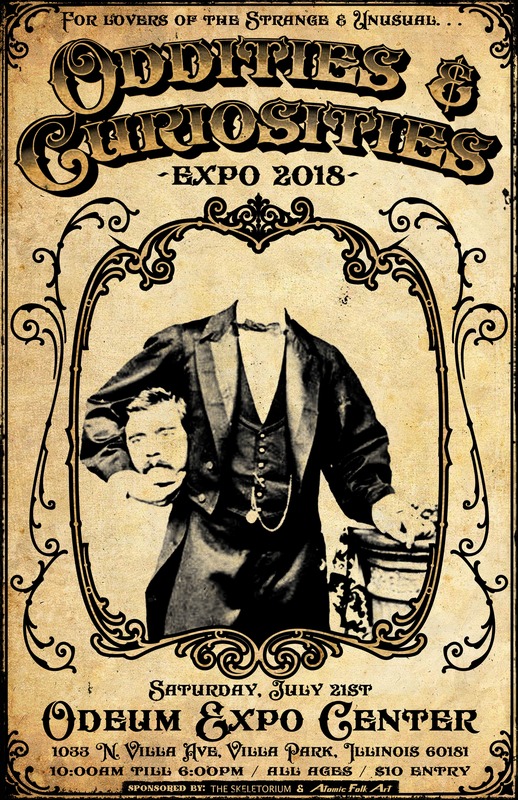 The Chicago Oddities & Curiosities Expo showcases vendors with all things weird. Items such as: taxidermy, specimens, bones, unusual original artwork, curiosities, odd antiques and so much more. *All items have been acquired ethically.